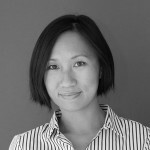 Born and brought up in Singapore, Samantha graduated with a BA in Media and Communications. What started as a 3month intern in a resort in Malaysia turned in to a 9yrs adventure in the luxury tourism industry. She came back to Singapore and started her career working for a major Food and Lifestyle Broadcaster in Singapore where she carried out several marketing and PR campaigns. She moved to Italy in 2011 and jumped at the opportunity to work at IYC Crew. Samantha is bilingual in English and Mandarin, picking up French and Italian along the way. With her background and her experience in marketing and customer service, she works to promote the crew department as well as assisting to match the right crew to the right job.